Hey guys and happy Monday!! I hope that you had a fantastic weekend. Thanks so much for all of your kind words in regard to my fall home tour. I loved putting it together, and loved sharing it with you all even more. My weekend was spent trying to get my house in order for Fall. Basically I cleaned and prepared for my yard sale next weekend. If you are in Atlanta, stop by! Any who, as I was cleaning my family room I couldn’t help but think about it has evolved over the last five years. It’s amazing how one’s style can change, and this is a lesson…if you feel like you are decorating and can’t quite figure out what you like, give it some time. It will come to you. 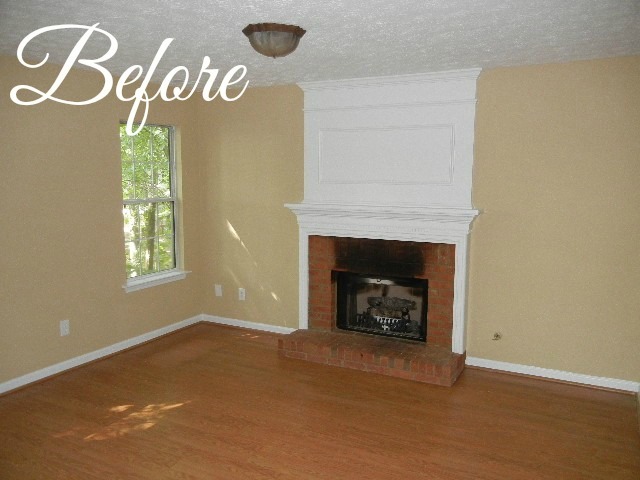 The fireplace was burned, and the paint color was not my taste. After a few months, I got the “wonderful” idea to paint the wall behind the fireplace a chocolate brown and tile over the brick on the fireplace. I had had enough of looking at that burnt brick! Tiling the fireplace was our first DIY and I think we did pretty good, but if I were to do it today, there would definitely be some things I would do differently to make the project a bit simpler. But we still love it to this day and it has held up well. 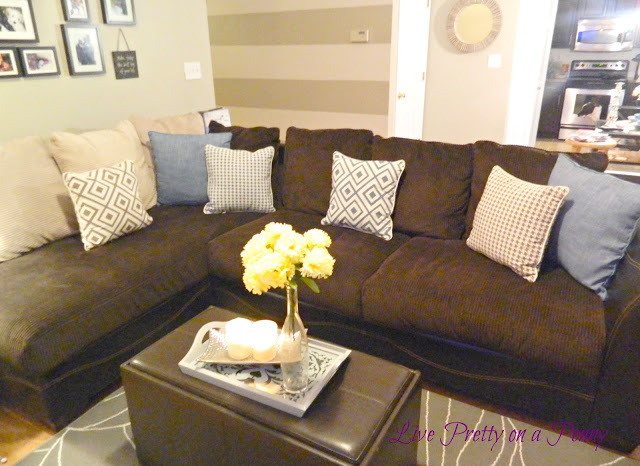 After deciding against the chocolate brown accent wall, I decided on a neutral wall color to brighten up the space. We went with Castle Path by Behr paints. But as you can see, I just couldn’t get the area around the fireplace together. I tried, lol. I also wanted to address that center light situation, but knew that would be further down the line. After a couple years of playing around with the area on the side of the fireplace, I found these bookcases on Craigslist. They are the Ikea Billy Bookshelves. I enjoyed styling them and this area finally turned it to a space that I felt reflected my style. 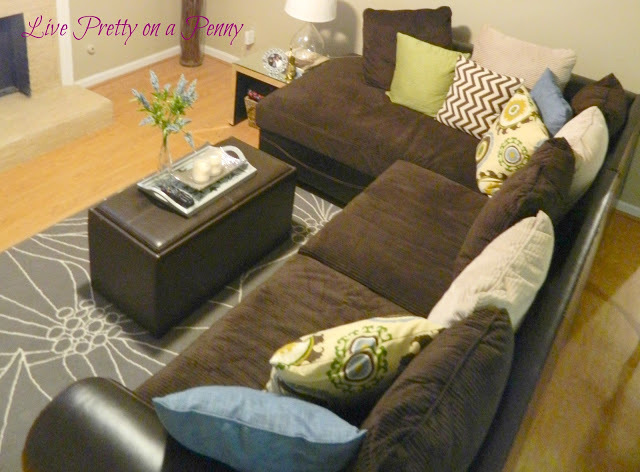 I even learned how to live with the brown sofa and brighten it a bit. Still needed to address the lighting. Fast forward to this summer, everything fell into place. I finally got my built-ins that I had dreamed about, and due to water damage, I got my sofa replaced and the lighting got a major makeover with recessed lighting. This space is now perfect to me and for my family. 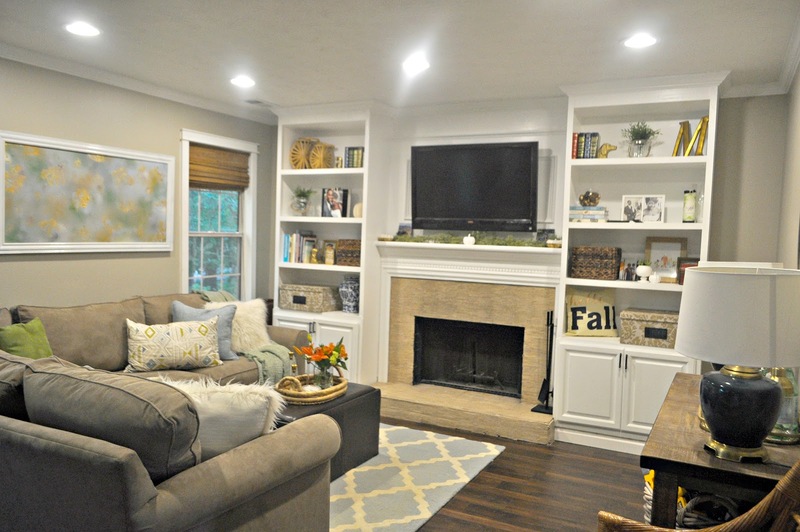 So what do you guys think of the family room and all of its changes? If you have been around since the beginning, thanks so much for following along. And if you live in Atlanta, I highly recommend my contractor who completed this work for me this summer. Message me for his info! 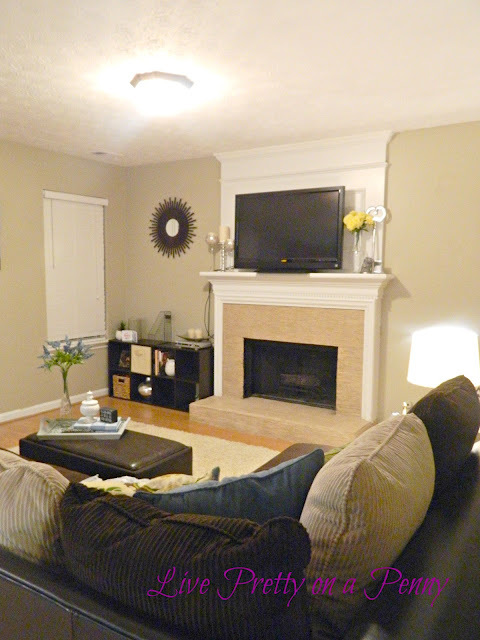 The changes look fantastic, its so much fun to see the evolution of your family room and style changes. 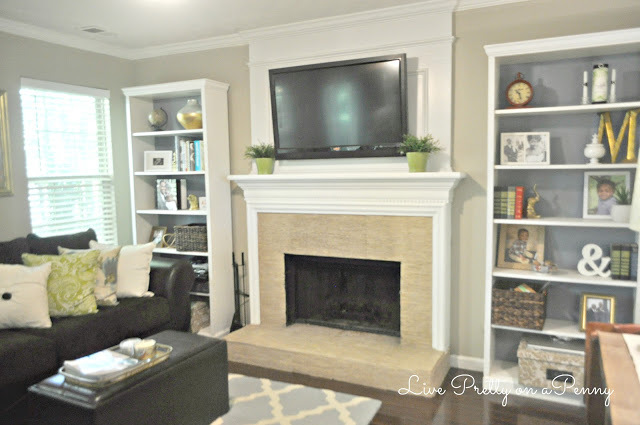 I adore your built-in bookcases they turned out so good! Thank you Katrina. Its so much fun to see how styles evolve! Wow! I don't even remember the brown accent wall. It's fun to see how the room has evolved over years. My favorite part of coming to your house has been the gallery walls and seeing the changes in the pictures. I love all the changes you've made over the years. each one has lead to perfection. Love your finished space!